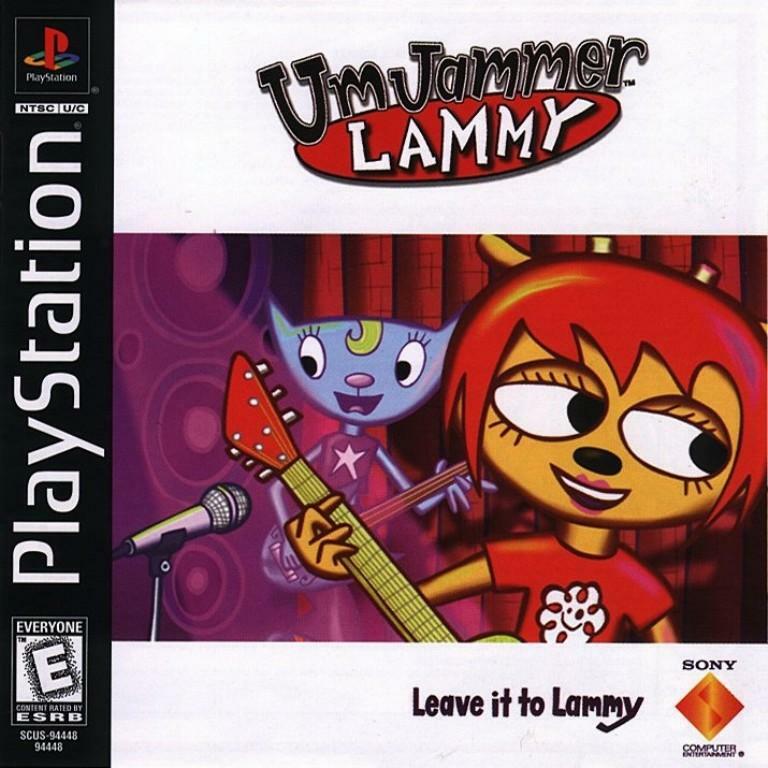 Um Jammer Lammy is a musical/rhythm game that is a spiritual successor to the popular PaRappa The Rapper. This time around, however, instead of rapping, you control a guitar-playing female lamb. Uh, yeah, and she just so happens to be in paper-thin 2D, just like the rest of the game’s characters. The game possess a unique style, this is for sure, and its storyline is even more bizarre. The main character, Lammy, is running late for a gig for her band, Milkcan. Along the way to the show, she continually gets interrupted and has to perform a number of amazing feats with her guitar. She puts out fires, delivers babies, and flies a plane, just to name a few examples. All of this is absolutely ridiculous, but it definitely adds to the game’s unending charm. As for the gameplay itself, there are seven levels to go through. The stages are played by pressing buttons in conjunction with the rhythm of the songs. Easy mode lets you press any button you want, but normal mode requires using specific buttons. Some of these songs get awfully complex, whereas others resort to button-mashing (the pregnancy level is notorious for this with its “ma ma ma ma ma ma ma”). Thankfully there is room for improvisation, which is especially helpful for those who struggle at these types of games. Um Jammer Lammy can get pretty difficult, but the songs are catchy and the rewards for beating the game are worth it. Completing the game on solo mode unlocks the option to play as PaRappa and a new character, Rammy. There is also the possibility of co-op play, which adds to the replay value. Um Jammer Lammy is challenging, and it has the ability to easily frustrate gamers, especially since sometimes its button-pressing recognition seems a little off-kilter. However, there is still a lot of entertainment to be had here, and there is a surprising amount of replay value despite only having seven stages. If you like rhythm games and have a knack for the weird, you will enjoy Um Jammer Lammy.